If you're into doing some crazy makeup for Halloween then look no further than the talented hands of Hollywood Noir Makeup. Her name is Ashley and she does one fine job at getting the Victorian Gothic look onto her face, all the while showing everyone how to do it. 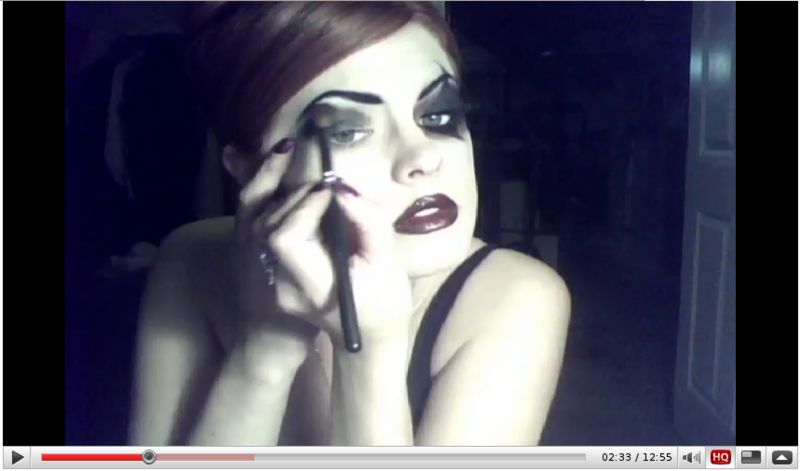 This entry was posted in Uncategorized and tagged gothic, halloween, makeup. Bookmark the permalink.